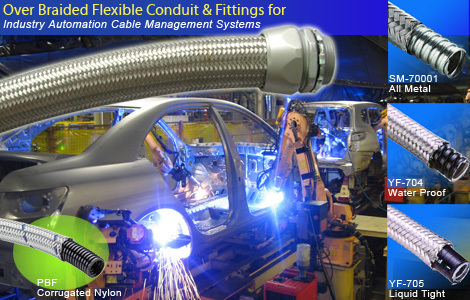 Delikon Over Braided Flexible Conduit & Fittings deliver reliable protections for industry automation cables. Heavy Series Conduit Fittings for heavy flexible conduit sheath, EMI Termination Delikon offers a complete range of Heavy Series Over Braided Flexible conduit and Heavy Series Fittings, protecting Automation and Control Cables of high impedance AC EAFs, single and twin cathode DC EAF, providing mechanical as well as emi shielding for DC EAF and AC EAF electrical and data cables. 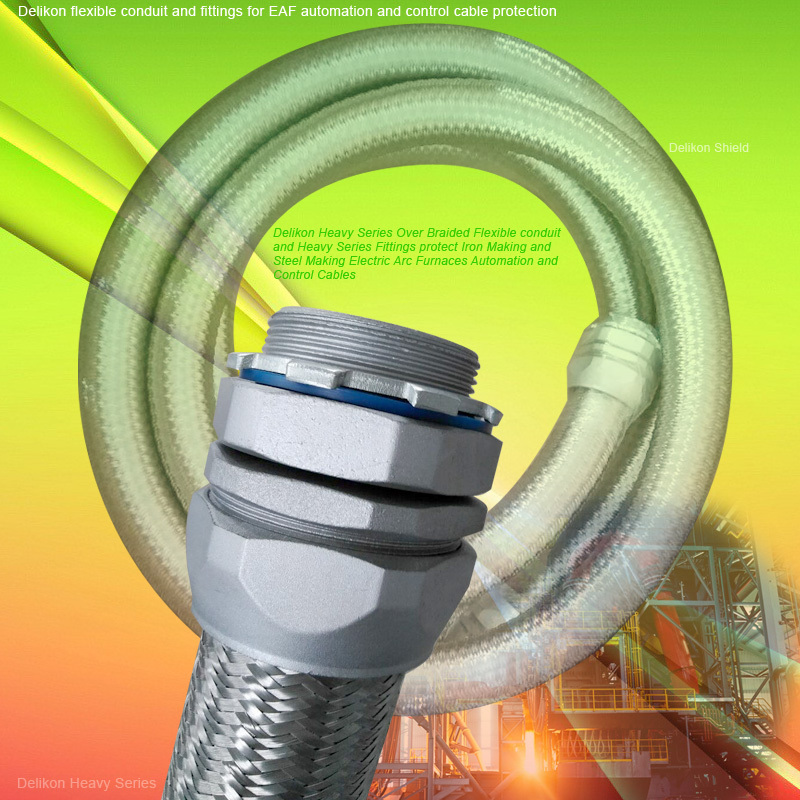 Delikon EMI Shielding Heavy Series Over Braided Flexible Conduit and Heavy Series Connector protect FLNG and LNG facility automation cables. Delikon supplys its EMI Shielding Heavy Series Over Braided Flexible Conduit and Heavy Series Conduit Fitting for protecting instruments and equipment cables for FLNG facility being developed offshore.